While it is true that a gorgeous bouquet of flowers can make someone feel special, those same flowers can give them the sniffles if they are allergic to pollen. Fortunately, some varieties of flowers emit little to no pollen, making it possible to surprise anyone. Here are three allergy-friendly floral varieties you should consider. Available in shades ranging from bright lime-green to deep navy, hydrangeas are just as stunning as they are versatile. In addition to pairing well with other hypoallergenic flowers, hydrangea blooms are available all year, making them the perfect gift for any special occasion. Hydrangeas have pollen, but it is stickier than most varieties, making it impossible for the wind to blow it your loved one’s way. Roses are known for their highly floral scent and elegance, but another reason to love roses is the fact that they contain protected stamens to prevent pollen transmission. Roses also have an impressive lifespan for a cut flower, lasting as long as a week after being cut and placed in water. Additionally, roses tend to open up after being cut, creating a more relaxed, casual appearance as time marches on. If you are looking for something a little more surprising than traditional roses, consider gifting your friend, family member, or lover with a beautiful, potted orchid. 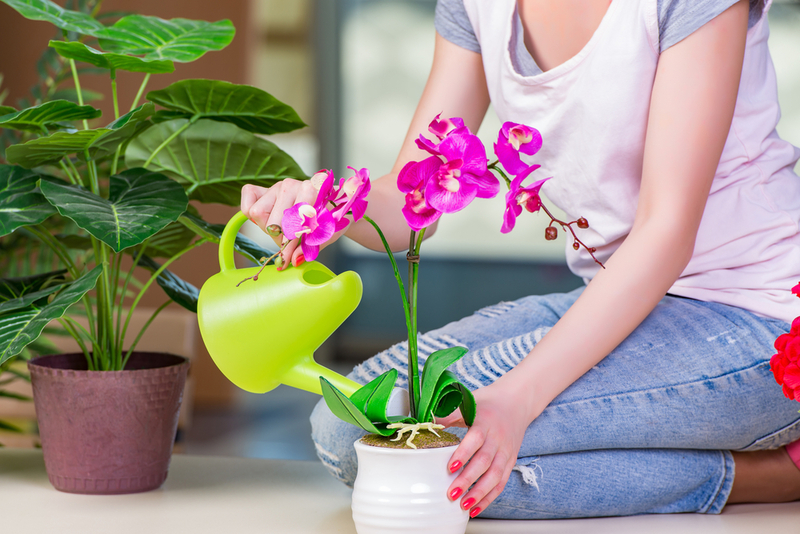 In addition to being very hypoallergenic, orchids are easy to take care of, requiring infrequent watering. While most varieties don’t emit a noticeable scent, orchid stems are incredibly long and drape down from planted stakes, creating a stunning visual presentation. When you are ready to surprise someone you love with a bouquet of allergy-friendly flowers, turn to Madison Avenue Florist Ltd in Midtown East. With an incredible selection of floral arrangements and simple online ordering, it’s never been easier to show someone how much you care. To learn more about their seasonal inventory, visit their website or call (212) 319-0242.